We have long believed that the bank loan market, as represented by the S&P/LSTA Leveraged Loan Index ("All Loans"), can be thought of as a true combination of high-quality loan risk and high yield bond risk. 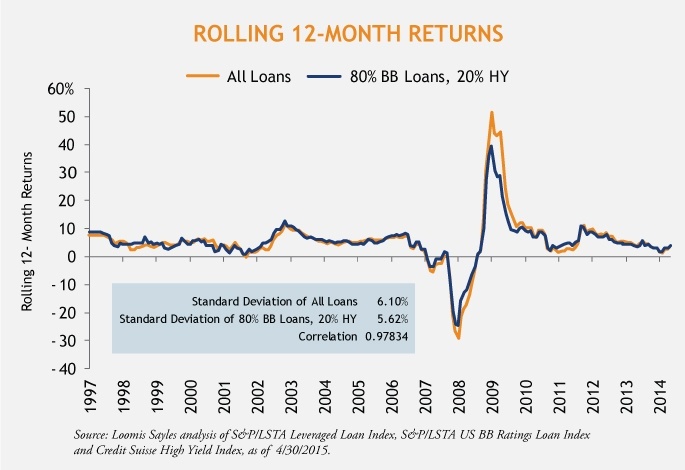 Some recent analysis uncovered something worth highlighting: a constant 80/20 blend of BB loans (the S&P/LSTA U.S. BB Ratings Loan Index) and high yield bonds (Credit Suisse high yield index) produced a return almost identical to the All Loans Index, but with a significantly lower standard deviation. This correlation holds true from the inception of the the S&P/LSTA Leveraged Loan indexin 1997 through present day (April 30, 2015). The period of greatest divergence between All Loans and 80/20 was in 2008-9 (the Global Financial Crisis). In 2008, 80/20 outperformed while All Loans plunged, and then 80/20 underperformed vs. All Loans during the huge risk-on rebound in 2009. My intuition tells me that higher quality loans (as exemplified by BB loans) provide the essence of the bank loan asset class (no duration, good risk/return statistics and relatively low volatility) while high yield bonds provide greater credit sensitivity that can be used to boost returns when the time is right. In my mind, the asset allocation is important: is it more efficient to seek those characteristics separately or together? 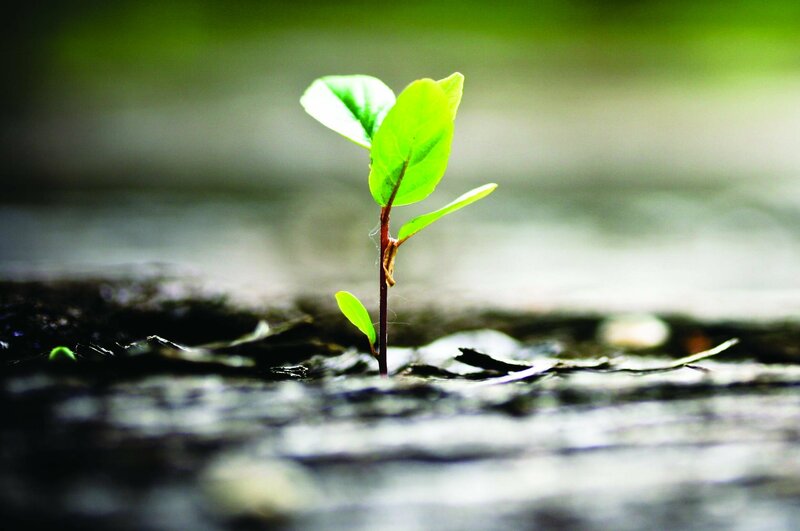 Does an All Loans strategy give up too much of the attraction of higher quality loans for the sake of credit alpha potential that could be more efficiently captured by a direct allocation to high yield? I believe there are two ways for asset allocators to attack this question. Depending on their client's goals, allocators can either split mandates to target and capture what the bank loan and high yield sectors do best, or give their asset managers latitude to move between the bank loan and high yield sectors as the cycle evolves.